Tiger Woods was oozing with confidence after his opening round at the Masters on Thursday. Woods, who hasn’t won a major tournament since 2008, looked in fine form, finishing the day with a 2-under round of 70 that placed him just a shot off the leaders as he entered the clubhouse. Throughout his round, Woods looked comfortable, with flashes of his dominance shining once again at Augusta National. After an errant drive on No. 14, Woods escaped the trees with a brilliant shot that set him up for a birdie opportunity, which he would sink and celebrate with a fist pump that was vintage Tiger. After the round, Woods was visibly confident in his play and sent what could be seen as a warning to his fellow players vying for the green jacket as to what’s to come this weekend. 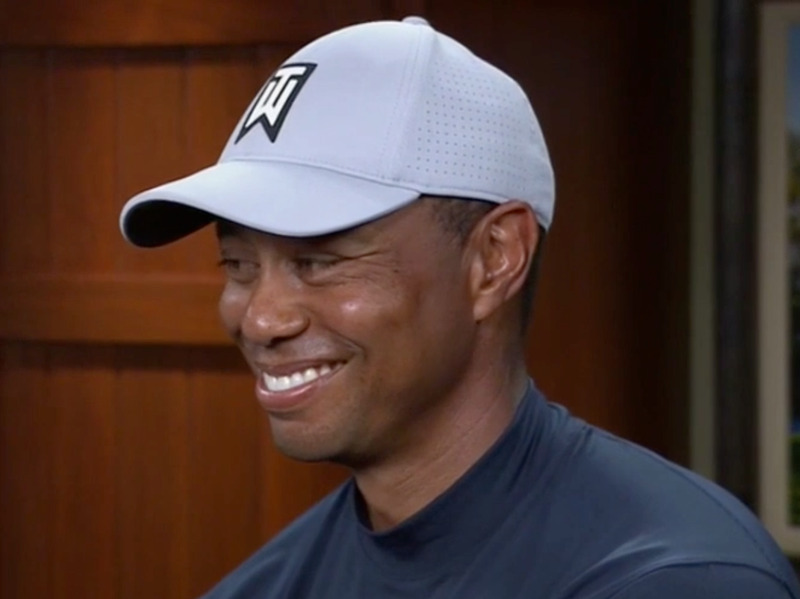 But even more worrisome for his opponents than his words was the grin on Tiger’s face as he said them. Confident Tiger is back. With his 2-under round keeping him on or around the first two pages of the leaderboard, Woods knows he has what it takes to close should he keep his play up through the weekend.